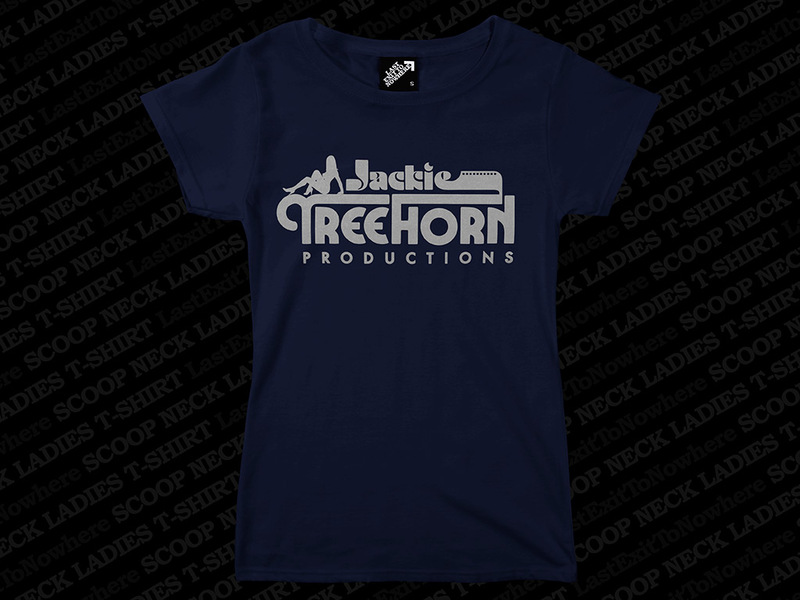 A two colour design, hand screen printed on a 100% cotton ladies fit scoop neck navy T-shirt. 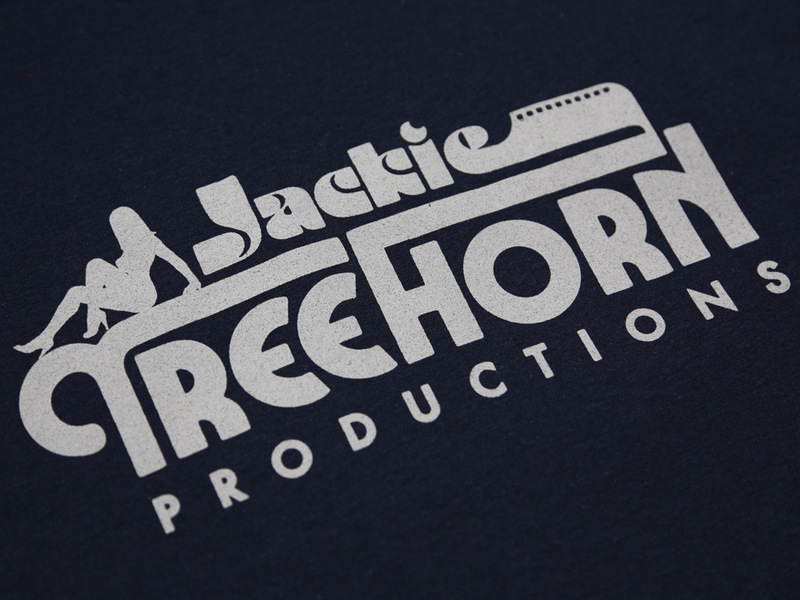 Inspired by the fictional adult film company featured in the 1998 film, The Big Lebowski. This American crime comedy film written, produced, and directed by Joel and Ethan Coen stars Jeff Bridges, John Goodman, Julianne Moore, and Steve Buscemi. Great website. Super easy to browse and purchase which is the most important thing. Love all the designs, just badass. I’ve always been a huge movie/music guy but have never found products like this before. I was worried about buying items because I live in Canada but not only were the shipping charges decent but the delivery was faster than expected. Awesome service and amazing products. I will definitely be buying from you again.